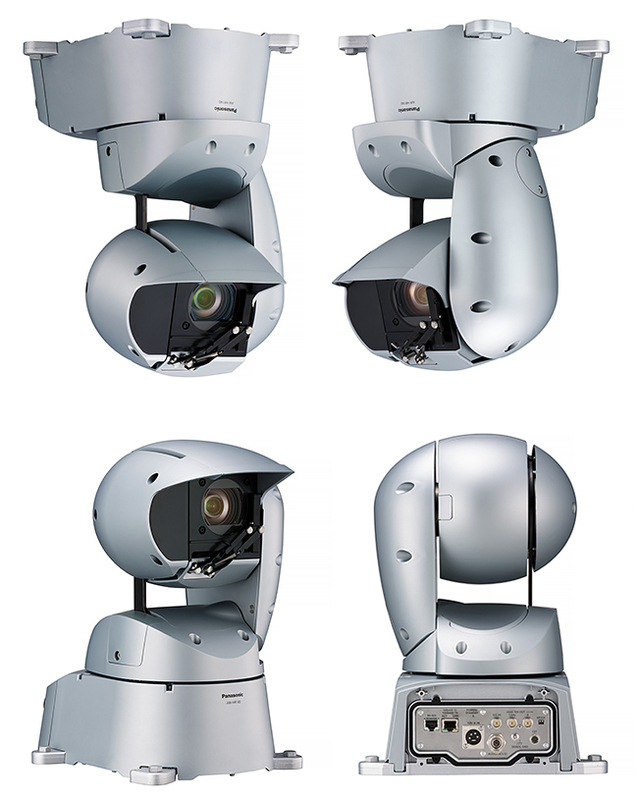 Panasonic has released the robust AW-HR140EJ outdoor robotic camera, enclosed in an IP65-protected case that eliminates the need for a separate housing. This integrated pan/tilt/zoom FHD remote broadcast camera is built to perform in a range of tough outdoor situations. It is resistant to water, dust, wind and severe salt damage, and is equipped with a wiper as standard, and has a pan-tilt vibration compensation function (Dynamic Image Stabilising System) for stable shooting in high winds or other adverse weather conditions. The camera features 1/2.86-type full HD 3MOS sensors and a motorised 20x zoom lens. Sophisticated image processing provides high sensitivity with low noise and horizontal resolution of 1,000 television lines. Haze Reduction technology is valuable for ensuring optimal image reproduction in outdoor environments such as during weather reporting. Where picture contrast is low as a result of environmental fog or haze conditions, the Haze Reduction function will adjust camera settings to ensure the subject is as clear as possible. The water and dust-resistant case resists salt damage and features a wiper. Stable images are captured with vibration compensation provided by the newly-developed Dynamic Image Stabilising System (D.I.S.S. ), a valuable asset in the event of high winds or related unstable weather conditions. Output formats include 1080/59.94p, 1080/50p, 1080/59.94i, 1080/50i, 1080/29.97p, 1080/25p, 1080/23.98p, 1080/29.97PsF, 1080/25PsF, 1080/23.98PsF, 720/59.94p and 720/50p. Using an IP connection, up to 100 HR140 cameras can be controlled by the AW-RP120G/RP50 remote camera controller via a switching hub. One camera can also be operated by up to ¬five remote camera controllers via IP connection. The AW-HR140EJ robotic camera is priced at RRP$26,100 (inc GST) and is available this month from Panasonic Broadcast dealers and distributors. For further information, please visit www.panasonic.com.au or call 132 600. Panasonic is shortening multi-camera production times with the release of the AU-XPD3EJ expressP2 Memory Card Drive – the industry’s fastest offload device. The AU-XPD3EJ is equipped with a Thunderbolt3 interface twice as fast as Thunderbolt2 and eight times faster than USB 3.0. Users will be able to daisy chain up to six XPD3 units to allow simultaneous multiple offloads. Designed for optimal performance with Panasonic’s expressP2 B series cards, the AU-XPD3EJ delivers single-drive performance of 10Gpbs and daisy-chain performance of 17.6Gbps, which translates to offload speeds of 512GB (AVC-Intra 4K 4:2:2 24p) in seven minutes and 1TB (daisy-chained, AVC-Intra 4K 4:2:2 24p) in eight minutes. The XPD3EJ is compatible with expressP2 A series and legacy P2 memory cards, as well as microP2 cards when using the optional AJ-P2AD1G adapter. The majority of current generation PCs and Apple® Mac computers support Thunderbolt3, and Thunderbolt2 bidirectional adapters for Mac computers and one-way adapters for Mac/WIN are readily available. Popular storage devices such as the LaCie Bolt3 drive will support the ultra-fast XPD3EJ workflow. The AU-XPD3EJ expressP2 Memory Card Drive is priced at RRP$3,198 (inc GST) and is available this month from Panasonic Broadcast dealers and distributors. For further information, please visit www.panasonic.com.au or call 132 600. Panasonic is set to launch a new LCD video wall range, the LFV8 Series, with the ability to display 4K images in a 2×2 configuration and larger using DisplayPort. Available in 49 and 55-inches at 450 cd/m2 and 500 cd/m2 brightness respectively, the displays have native 4K-capable DisplayPort inputs and outputs. When installed in a 2×2 configuration across the four Full HD panels, the result is a single, film-like 4K (3840 x 2160/30p) video image. “The panels capture attention with immersive images and are perfect for creating an impressive 4K video wall –either portrait or landscape orientation – in retail precincts, hospitality, surveillance centres or transportation hubs,” said Chris Maw, Product Marketing Manager, Projectors, Panasonic. 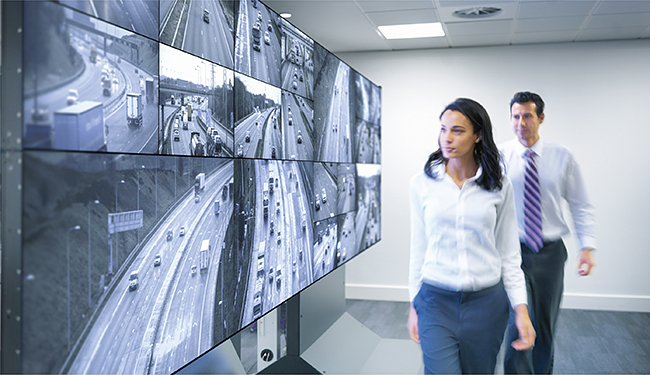 As well as providing an affordable 4K solution for professional installations, the displays can also enlarge and scale UHD (3840 x 2160/30p) across larger video walls, with greater accuracy than is possible with signals of lower resolution. The IPS panels are professionally pre-calibrated, preserving colour accuracy and maintaining visibility when viewed off-axis. The displays are ideal for digital signage applications – with a narrow bezel to bezel width of just 3.5mm, modular magnet-alignment mounting frame for fast installation, and a resilient design able to cope with 24/7 operation. The displays also make use of local dimming technology, which optimises contrast according to the requirements of specific areas within individual images that are being displayed. The result is improved blacks and highlights with a greater sense of immersion. An anti-glare surface coating also ensures high visibility under artificial light. * Bezel-to-bezel distance refers to the combined top and bottom (or left and right) bezel-width of adjacent displays in video-wall configuration. The gap between displays is not included. The LVF8 Series will be available from specialist Panasonic display panel distributors and resellers. For further information, please visit www.panasonic.com.au.